The conversation surrounding the inclusion of men in the issue of gender equality is getting exciting. Thanks in large part to those pesky feminists (you know, that group everyone loves to hate on) who are making a bold step in inviting men to the table to “lean in” to solve this equality equation, gender stereotypes are being challenged on all sides. Regardless of what the naysayers may say about feminism, the proof is in the pudding. Feminism is about pushing the existing narrow boundaries in order that we ALL may benefit, including men. And if you don’t believe this, just as men themselves. Upworthy put together a montage of how men react once they find out what the definition of feminism actually is: the social, political, economic equality of both sexes. The collective reaction is that they are enthusiastic and are unashamed to call themselves a feminist. But let’s look at it from more of a serious point of view. 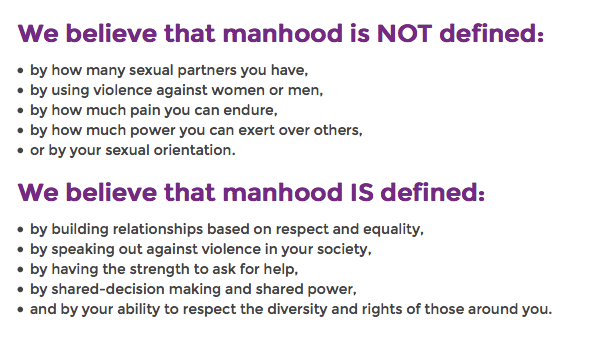 A group called MenEngage, which is an alliance of 600 organizations working with men and boys in over 30 countries around the world. They encourage men to get involved in the fight for gender equality as you can’t have equality when half the population is missing. 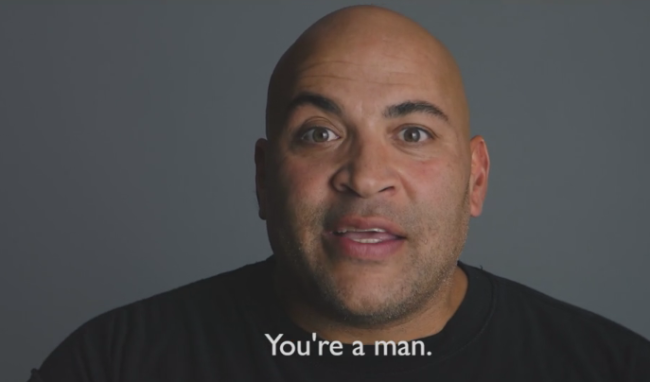 On the International Conference on Masculinities in New York on March 5, the group debuted the video below which shows a diverse group of men and women discussing the idea of masculinity from where it has been and where it is heading today. All the men featured talk about how the idea of a woman being a housewife and mom and the man being a breadwinner shouldn’t be the way we define gender roles. “Man up!” says one woman. “That’s a woman’s role, not a man’s role” says one of the guys. After they go through a list of lines that they believe are not relevant when it comes to men and women today, they start to talk about why breaking down these stereotypes is important to society. “In my opinion none of us are born with these ideas,” says one woman about how these are learned norms from the social cues we pick up on. “It’s old school man,” says a guy, reiterating the outdated notions that are still around today. It’s going to take this generation stepping up, leaning in together, as the new Sheryl Sandberg campaign says, to change the status quo. Seeing video messages like this and hearing how many organizations are really walking the talk when it comes to gender equality, is very exciting. 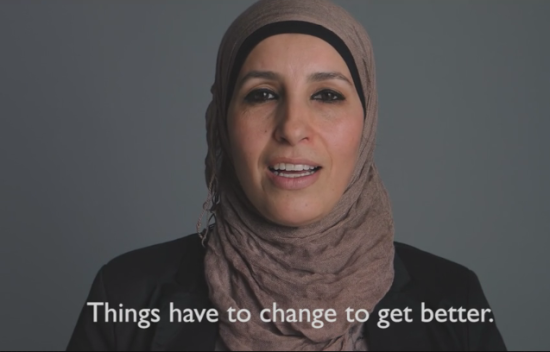 Take a look at the video below and see why it’s time we set aside gender barriers to find ways to work together in order to create a future world free of the norms that have been so restrictive in the past. MenEngage from MenEngage on Vimeo.